Most of us have heard the old saying so many times that it doesn’t even register anymore. But when you run your own business, the truth of the saying really hits home – and that is that time is indeed money. 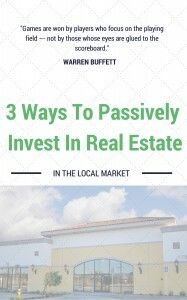 As a business owner, especially a real estate investing business, you just never have enough of it. Take a look, then, at these 5 ways to save time as a busy investor in New York. Probably the best way to save time as a busy investor in New York, especially early on, is to narrow your business focus and define a niche. Few of us can do everything, and none of us can do everything well. Having a narrower area of concentration will help you save time while mastering necessary business skills and acquiring the needed expertise. For example, you could concentrate on fix-and-flip properties alone until you have the time and knowledge to widen your focus to, say, rental properties as well. Another way to save time as a busy investor in New York is by buying turnkey properties, which are a great option for passive residential income. Turnkey properties are those that require no rehabbing and so are ready to rent out as soon as you acquire them. Many investors, however, don’t even consider this option because the sale price is higher. But if you keep in mind that time is money, the cost may actually be lower because you don’t have to spend time making repairs and can get the property turning a profit that much more quickly. Most businesses have now gone paperless for billing and collections. But many in the real estate realm, especially landlords, are still doing things the old time-consuming way, some even still going around knocking on doors to collect cash payments by hand. So go paperless to save time as a busy investor in New York. So if you really want to save time as a busy investor in New York, send us a message or call us today at (914) 559-2579!